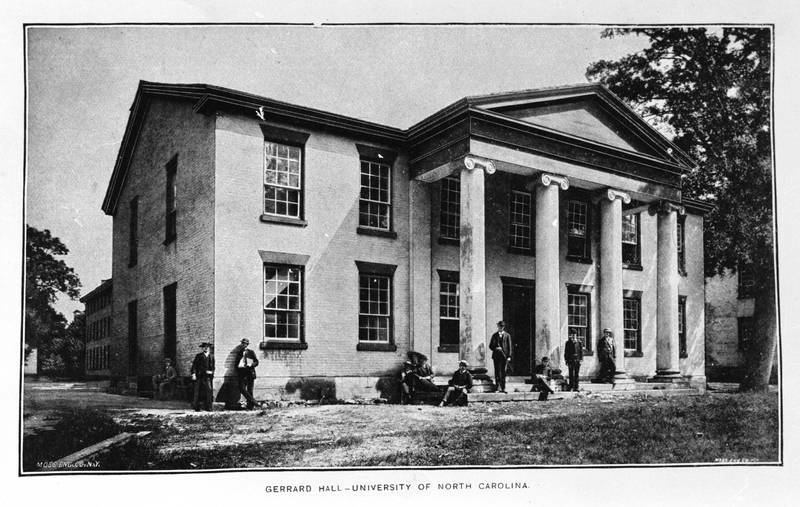 William Nichols, one of the first trained architects to work in North Carolina, planned the Old West dormitory (1823) and Gerrard Hall (1822-1837), a chapel and assembly hall. Nichols designed Gerrard as a simple building for meetings but added an imposing south portico with four tall Ionic columns. This classical touch appealed to the trustees and faculty because that style offered a way to express devotion to learning and moral elevation. In 1900, the trustees had the portico removed because it had rotted and faced south, where the campus had not yet expanded. During Gerrard’s 2007 renovation, the university had the portico and its columns restored.